This podcast offers straightforward, engaging information and interviews from topics and people involved in the theme park world. Still working my through to get current, and each episode has offered something to enjoy. Recommended for theme park enthusiasts, Disney World fans, and lovers of old EPCOT. Dan does an excellent job consistently preparing thought-provoking and entertaining episodes. His interviews are full of insightful questions, and his non-interview episodes maintain a high standard of quality content. The Tomorrow Society is always a joy to listen to! ...but also a great podcast in general that boils down to, every episode, an exploration and celebration of creativity and escapism. Top notch. And Dan is an EXCELLENT, excellent interviewer; not kidding when I say if you have to interview peopleâbe it to hire them, for information, or as a writer/podcaster/whateverâyou would do well to study his style of pleasant-but-insightful questioning. I like it so much I had to update my review just to mention it! You are a great interviewer! I have enjoyed every show. Not just a great Disney podcast, but a great podcast. This podcast is a labor of love for Dan and us listeners get all of the reward. Dan has the ability to get top-tier behind-the-scene magic makers to appear on his program, the research skills to steer the conversation to uncharted areas, and the interview skills to coax nuanced detail from his broad selection of guests. Iâve listened to many of his programs more than once. Highly, highly recommended listening. I recently found this podcast. Iâm enjoying all the inverviews! This is hands down one of my favorite podcasts. Whether youâre a Disney fan, or just a fan of theme parks in general, you will find Dans guests and topics thoroughly entertaining (and youâll learn a ton as well). Beyond the amazing guests, Dan has a true talent in interviewing them, and asking just the right questions. In addition to the podcast, Dan has some amazing blogs over his experiences on his website as well. I look forward to new episodes of The Tomorrow Society podcast - very thoughtful and interesting discussions on Disney in general and the parks! Dan does a great job of bringing a fresh style to Disney podcasts. I really appreciate the obvious work he puts into each episode. Dan definitely seems to stick to quality over quantity. Keep up the great work Dan, Iâll keep listening! I love what Dan is doing with this show! What a great selection of guests and interesting topics about the culture of being a Disney fan. Keep up the great work! Lots of great insight. Dan is thoughtful and deliberate in his episodes. Listening to Disney podcasts is something I really enjoy and I get genuine excitement when I see he's released a new episode. I have very little memories of visiting Epcot Center in 1986 when I was 3 years old or 1989 at 6 so listening to Dan wax poetic about this park without sounding bitter about the changes coming to Epcot is truly appreciated. The guests he interviews are fantastic and add depth to the discussion. A must for any Disney fan. I'm really enjoying catching up on this one! Dan interviews people that other podcasts don't usually have. His interviews with Sam Genneway & Christian Moran were two of my favorites. Thanks for putting together a great podcast with interesting interview subjects. This isn't your typical Disney podcast! I like Dan's perspective of Walt Disney World. Most podcasts come from the Orlando area and are great, but this one provides a point of view for people who can not get to WDW as often as a local. Dan does a great job of not only securing interesting guests and topics but asking the right questions we theme park enthusiasts want to know. I've been listening since the first episode and this is one of the best Disney podcasts out there. Good subject matter and thoughtful insights. Great job! Dan Heaton has crafted one of the most interesting and intelligent theme park podcasts you'll ever hear. I'm impressed by the amount of research that obviously goes into each episode. The guests are top notch and the conversations are smart and engaging. 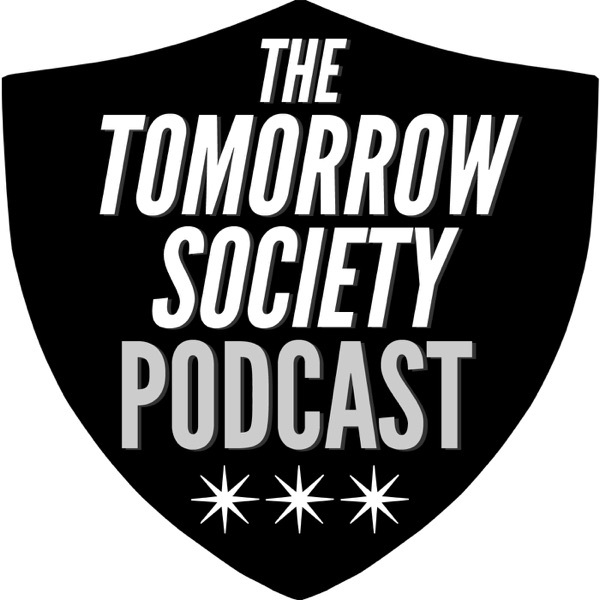 I've listened to many different Disney podcasts and the Tomorrow Society ranks among the very best.